Living... with his Auntie and Uncle in Bel-Air. 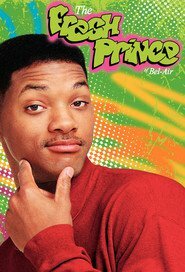 Will is from West Philadelphia (born and raised), and on the playground is where he spent most of his days. He got in one little fight, and his mom got scared. She said…well, you know the rest. He moved to the upscale Bel-Air. Profession... officially a high school student, but you’ll never see him studying. Interests… girls, rap music, sports … and making his Uncle Phil’s life as hard as possible. Phil is a strict father and a hard-nosed judge. The last thing he needs is a sarcastic, immature kid from Philadelphia coming into his life, but Uncle Phil might be the best thing to happen to Will. He pushes him to succeed in school and to grow up (even if it’s just a little). Relationship Status... serial dater and ladies’ man. Will seems to have a new crush every week, and is smooth enough to win over many of them. His nerdy cousin Carlton gets in his way at every turn, though, and have you seen that guy dance? Not a great wingman. Challenge... fitting in when he lands in the ultra-white Bel-Air neighborhood. Even his family doesn’t understand his slang and attitude. He calls his cross-country flight, “stupid and dope,” and his uncle almost has a heart attack. Personality... self-centered and street-smart with a deep love of teasing his new family. He’s a smooth talker with a knack for concocting crazy schemes, but many times those schemes are to help his cousins out. Even though Will shows it mostly by making fun of them, he really cares about them. Will Smith's popularity ranking on CharacTour is #1359 out of 5,000+ characters. See our top-ranked characters and read their profiles.